Ok so let me make this very clear off the bat, I really REALLY enjoyed Get Out. So going into Us, my expectations were through the roof. Unfortunately, I didn’t quite understand this film. I know that most critics are saying that this is a message about the current state of America and how we should be better people, and honestly I didn’t get a sense of that at all. Maybe the themes went well over my head, but there were so many questions that I had by the time the movie ended. 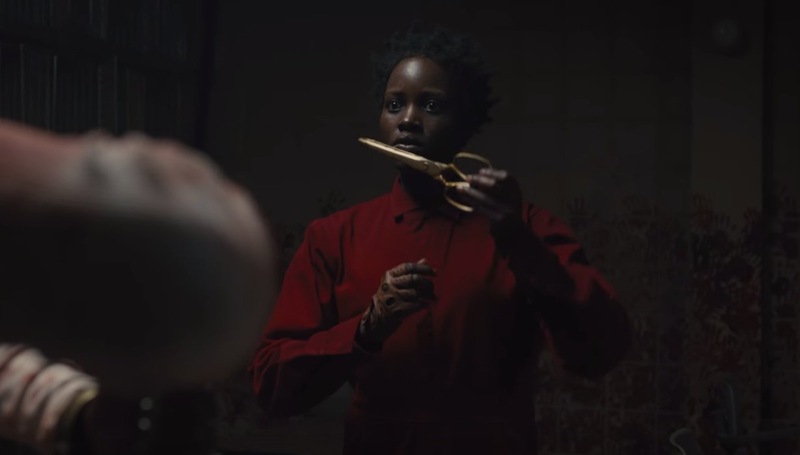 One thing that was never really explained, but was prominent in the marketing of the film, was the meaning of the golden shears. I thought that this object would have played a much larger role in the film. But in the end, it had no meaning, at least to me. I will say that Lupita Nyong’o’ s role in the movie was absolutely amazing. Playing off herself can actually be a challenging thing for an actor. But she handled it beautifully and was a joy to watch. The same can be said for the rest of the cast. Overall, Us is a movie that is really creepy and very suspenseful. The ending was not handled well to me, and had some “shake my head moments”. But there are way too many questions for me in order for me to give this movie a very high rating. 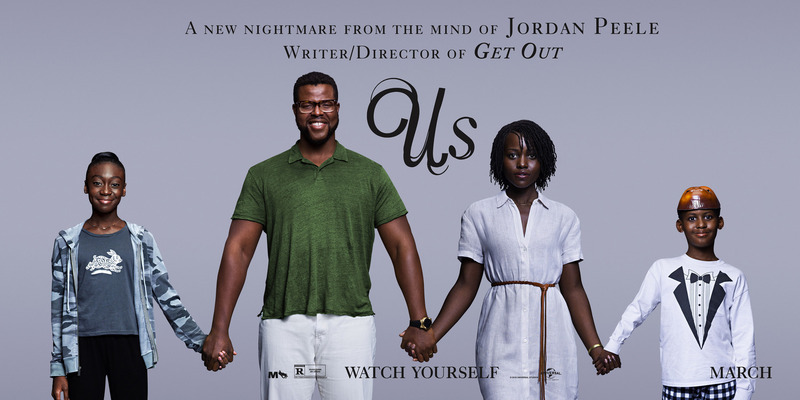 There is no doubt that Jordan Peele really knows what he is doing as a director. Am I looking forward to his next project? Absolutely! But in regards to Us, I just felt like this film just didn’t meet my expectations and that is disappointing. I do not hate this movie at all, and I feel like I may need to go see it again, but when you have too many questions that need answered, I shouldn’t have to try to figure that out. The movie should do that for me. So for me, I give Us: 3 Doppelgängers out of 5.